Check out how much dollars you lose just by filing tax return late. Also check out the percentage of taxpayers as per age and gender. 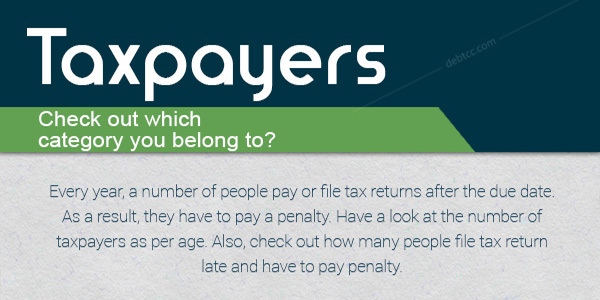 Do you pay tax timely or have to pay a penalty? You can save money just by paying your tax within the stipulated time period. Check out, as a taxpayer, which category you fit into.